Before clothes dryers, people had to hang their clothes out to dry and wait, and wait, and wait. If your dryer is malfunctioning, don't wait! The appliance technicians at GSR Co. can help now! We provide dependable, quality, warranty-backed service at an affordable rate in a timely fashion, so your clothes get dry, no clothespins necessary. Call us for a free quote, and put our knowledge, expertise, and reliable service to work for you today. When a dryer does not heat, the heating element is most often the cause of the problem. 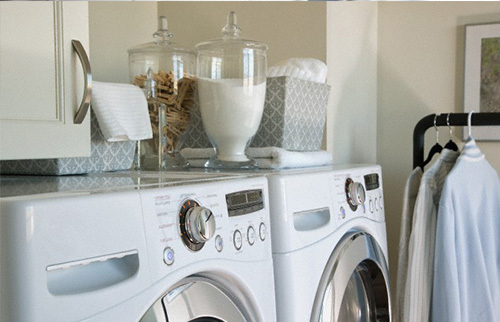 If your dryer is noise, it may be due to a worn belt, or damaged bearing, motor or idler. GSR Co. can inspect your dryer to identify the specific problem and replace the part at fault. A thermal fuse, start switch or door switch may need to be replaced when your dryer refuses to turn on. We repair these types of problems very often so you can rest assured that your appliance will be repaired quickly. Our experience with common problems like these allows us to pinpoint the problem and repair quickly. At Great Services and Repair, we are familiar with all these symptoms, and we know what to do about them. We’ll diagnose the problem, and get your dryer back to work in no time. Don’t see your brand on the list? Don't worry! We can still fix your dryer!